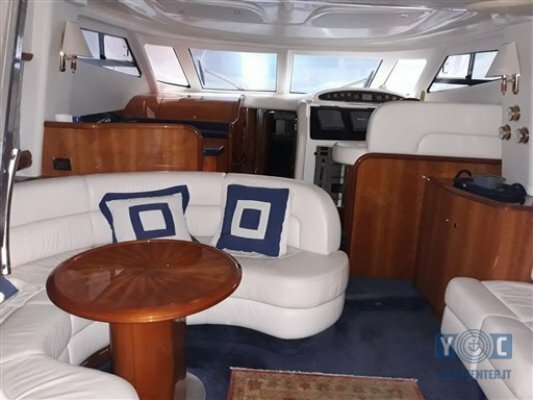 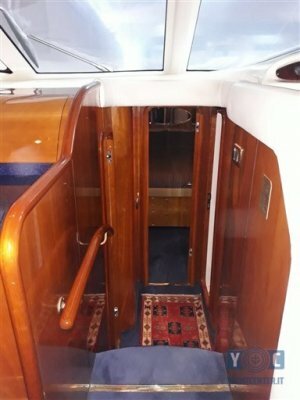 Opmerkingen: Cranchi Atlantique 48 Fly of 2003 with 2 engines Volvo Penta centerline from 480Hp, milage about 800, length 15 to 4.35 meters, with accessories such as radar, air conditioning (hot/cold), 10 kw generator, watermaker 80 lt, bow thruster, 2 propellers and shaft 1 ri SPECT, cabin, double cabin, cabin with two beds on the floor, crew cabin aft, 2 bathrooms with shower, kitchen with glass ceramic hob, microwave, fridge, freezer, refrigerator, satellite system internal external Glomex , radio and stereo, all teak (cockpit, fly scale fly, side passages, swim platform), sundecks, perfect blinds and awnings. 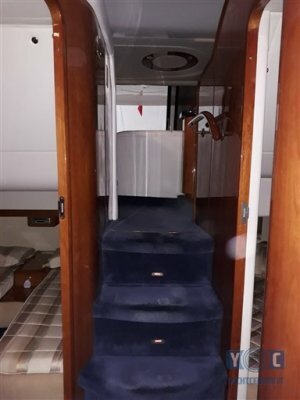 VISIBLE IN FRIULI. 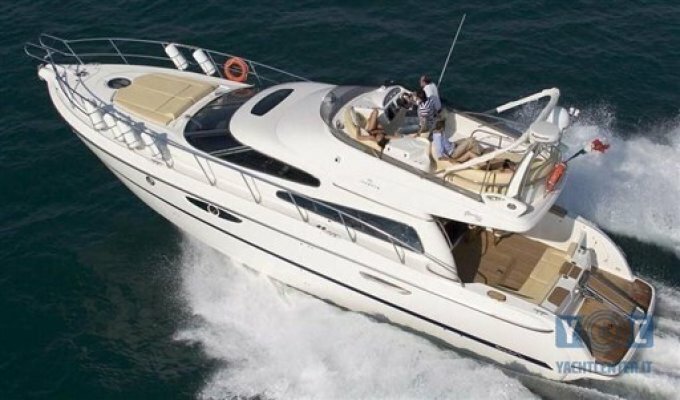 AGENCY LIGNANO MARINE BROKER-INFO + 39 0431 53363 (Italian, ENGLISH, German) Electronic tools for navigation: Plotter with GPS antenna. 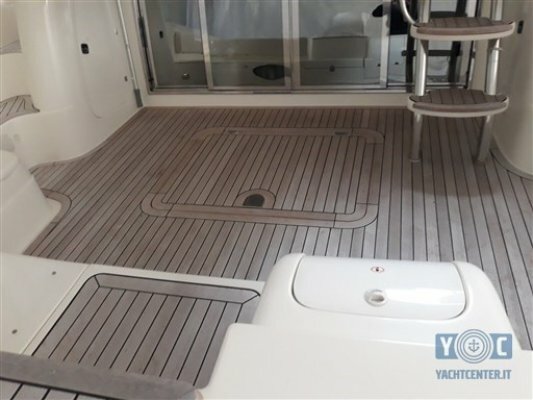 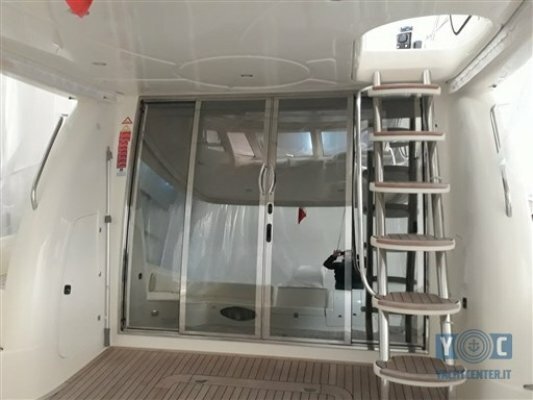 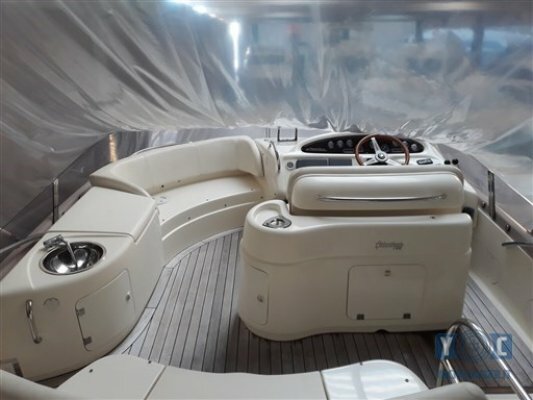 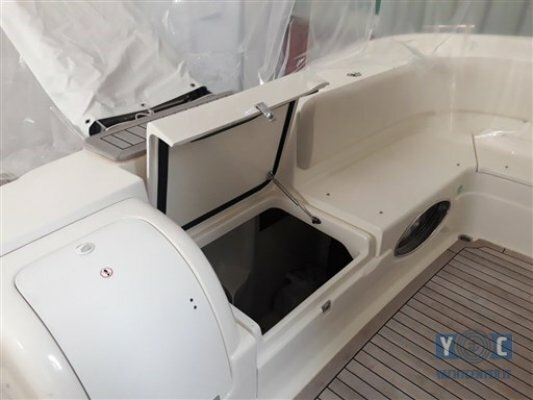 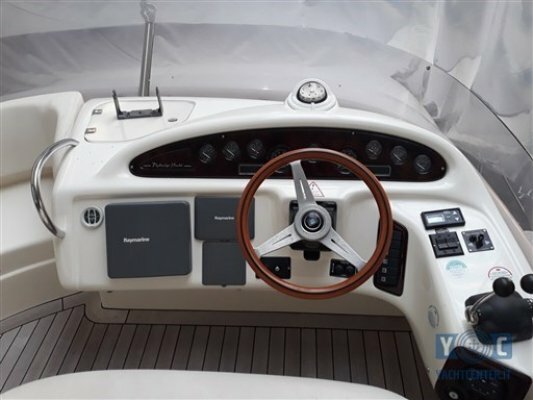 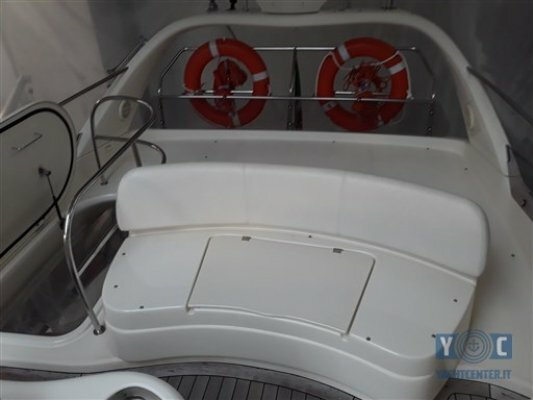 Staging and technical: Water pressure pump, Deck Shower, Hydraulic Flaps, Flaps Indicators, Platform, Automatic Bilge Pump, Shorepower connector, Rectifier, Rollbar, Electric Windlass, swimming ladder, guard rails with gates, Horn. 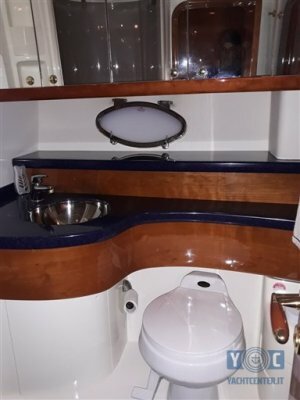 Domestic Facilities onboard: Warm Water System, Watermaker, 12V Outlets, 2 Electric Toilet. 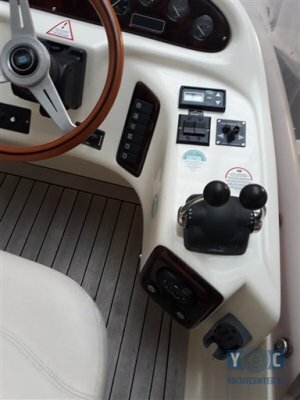 Security equipment: Safety equipment within 12 miles. 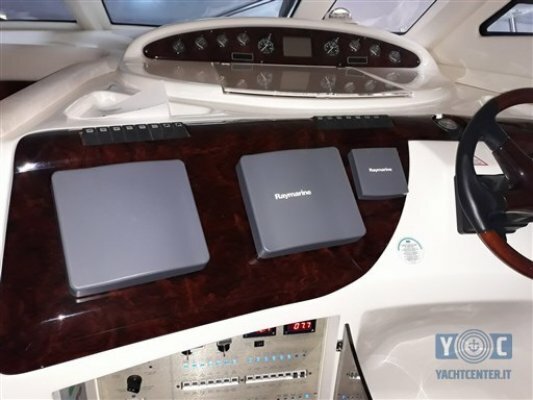 Entertainment: Speakers, Satellite TV antenna (Glomex), Satellite Decoder, DTV, Hi-Fi. 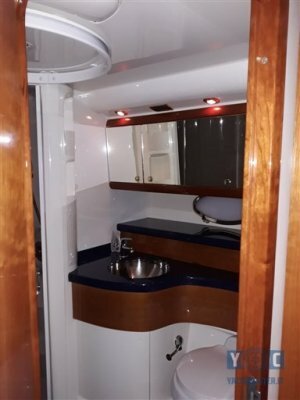 Kitchen and appliances: Galley, Deck Refrigerator, Ceramic hot plate. 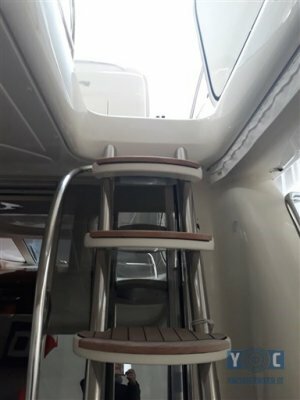 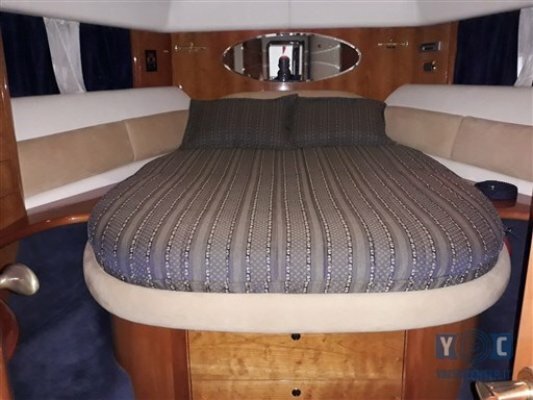 Upholstery: Cushions, Stern Cushions, Bow Cushions, Fly Bridge Cuscions. 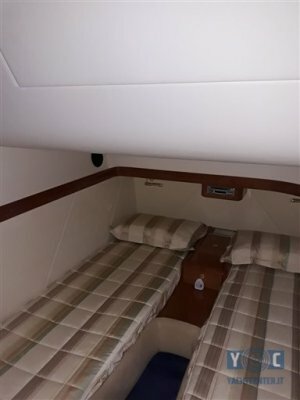 Accessories notes: 2 propellers and 1 tree of respect, cockpit, fly scale fly, side passages, swim platform, curtains and awnings.